Folks, it's a huge week for home releases so let's just dive right in, shall we? 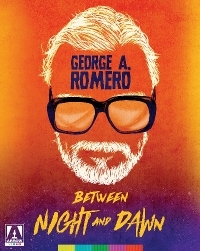 First up is this great set of Romero films from Arrow called "George A. Romero Between Night and Dawn" which collects all the fledgling filmmaker's films following Night of the Living Dead. Titles in the set include Always Vanilla, Romero's sophomore 1971 directorial effort, 1972's Season of the Witch and The Crazies which saw Romero returning to more straight horror territory as a small rural town finding itself in the grip of an infection which send its hosts into a violent, homicidal frenzy. Taken together, these three early works, made in the period between Romero's celebrated living dead outings serve to display the broader thematic concerns and auteurist leanings of a skilled craftsman too often pigeonholed within the genre. 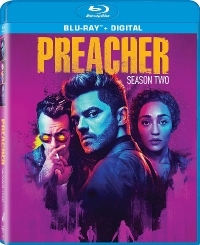 The second season of AMC's Preacher is a genre-bending thrill ride that follows West Texas preacher Jesse Custer (Dominic Cooper), his badass ex-girlfriend Tulip and Irish vampire Cassidy (Joseph Gilgun) as they embark on a road trip to find God and are thrust into a twisted battle spanning Heaven, Hell and everywhere in between. 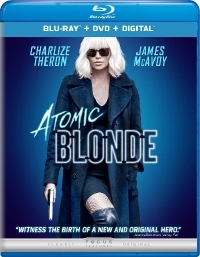 From director David Leitch (John Wick), Atomic Blonde stars Charlize Theron stars as elite MI6's most lethal assassin and the crown jewel of her Majesty's secret intelligence service, Lorraine Broughton. When she's sent on a covert mission into Cold War Berlin, she must use all of the spycraft, sensuality and savagery she has to stay alive in the ticking time bomb of a city simmering with revolution and double-crossing hives of traitors. 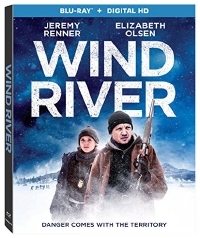 Wind River was directed by Sicario writer Taylor Sheridan.